Last week I shared how my students and I were navigating the waters of ‘main idea.’ It has been a trial and error journey for sure. After changing/modifying/adapting things a bit, I am glad to see great progress on behalf of my students. 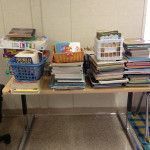 We will continue focusing on main idea for an extra week or so before we move onto summarizing, but I feel confident that after a rocky start, we are finally getting where I wanted – making sure my students not only understand, but also determine the most important thing about what they read. I backtracked and re-started the unit by using the informational books they were independently reading. We talked about the importance of using ALL we knew before tackling a new text. We looked at text features, talked about text structure and then moved onto making predictions about what we were going to read. Once predictions were made, students were given the time to go off to read independently and finish filling out the graphic organizer – adding what they learned. At the end of the lesson, we shared what we learned. We practiced this the following day but with a different graphic organizer (one with 3 columns instead of 2). The third column asked students to think even deeper and decide what information what important and not just interesting. 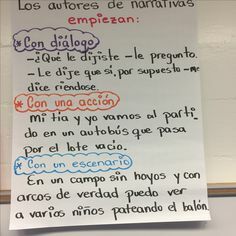 Determining main idea is a skill I want my students to master, and we will continue to practice as the days go on. 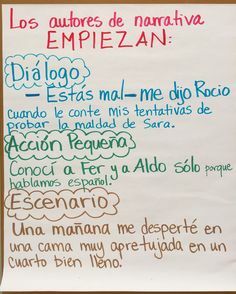 I am learning as I go as well…..because in a dual language classroom you are teaching in 2 languages not just one.